Welcome to Wealth Architects®, we specialize in estate planning, financial planning, farm & business succession, investments, insurance, wealth planning and tax reduction strategies. We understand that each client's financial situation is unique and requires unique financial solutions. As an independent financial planning firm, we offer objective and unbiased advice and provide the solutions and strategies that best fit your situation. 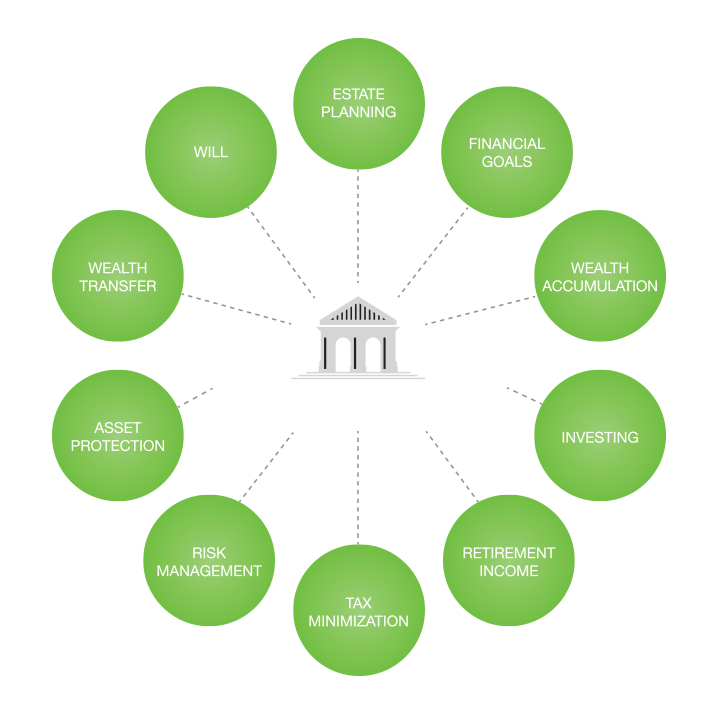 At Wealth Architects®, we employ a holistic approach to your financial planning. Any plan is only as good as the information provided to develop it. Just like a physician considers everything that is going on with a person before prescribing, holistic financial planning takes all aspects of your financial situation into consideration before making recommendations. 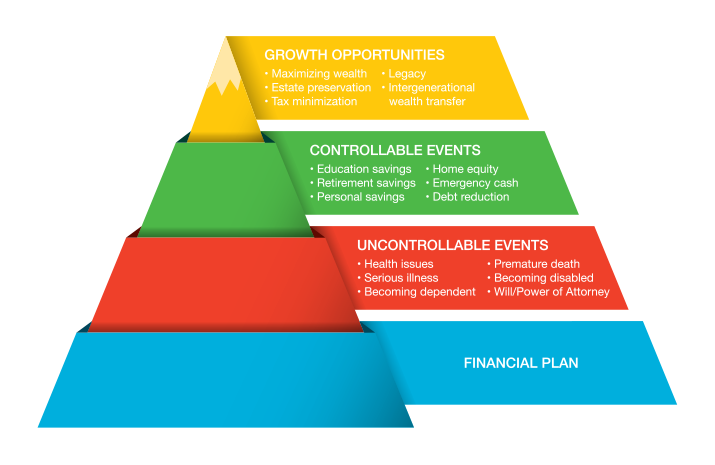 This diagram provides the many aspects of your financial situation that go into developing the best financial plan possible for you. At Wealth Architects®, we are the center of your financial life. We assess, implement, coordinate and monitor all areas of your financial plan, both now and going forward. We consult with your accountant, lawyer, investment advisor and insurance agent to make sure you are on track to achieve your financial goals. You can choose us to manage your investments and implement your insurance or you can ask us to consult on your existing investments, insurance and financial plan and provide advice. The choice is yours. Wealth Architects® is your One Stop Financial Advisor! Financial planning is a process that goes on throughout our lives. It is not something that is done at a specific point and then abandoned. Financial planning involves putting mechanisms in place to help you protect your assets, build your wealth and minimize taxes along the way. Just like a house, a financial plan starts with a solid foundation to protect your income and make sure you have your income no matter what uncontrollable event happens. Your income is the foundation of your financial plan, because without your income nothing happens. With this foundation of solid income protection in place, we build the financial plan by accumulating and building your assets for you and your family. Then we focus on maximizing your wealth, preserving your estate and creating your legacy.